"Can Stoicism Make Us Happy?" The Nation, February 5, 2019. "Philosophy As a Way of Life in Maimonides," Lecture at the National Library in Jerusalem, December 13, 2018. In conversation with Austrian writer Robert Menasse, Ludwig Forum, Aachen, November 18, 2018. "Is Germany's new anti-Semitism really new?" Boston Review, May 22, 2018. Sari Nusseibeh reviews Teaching Plato in Palestine in Common Knowledge, April 2018. In conversation with Peter Adamson and Samuel Loncar, Marginalia Review of Books, March 2, 2018. Enseñar Platón en Palestina reviewed in Laberinto, cultural supplement of Milenio (Mexico), December 2, 2017. "What, really, is the purpose of philosophy?" A reply to David Papineau, Times Literary Supplement, September 1, 2017. "Deprovincializing Philosophy," Los Angeles Review of Books, July 29, 2017. "Maimonides Lecture", University of Hamburg, July 11, 2017. In conversation with Wolfgang Büscher at the phil.cologne, June 11, 2017. Co-authored essay on hierarchy and equality in Aeon, March 22, 2017. "Elton Lecture," Department of Philosophy, George Washington University, February 24, 2017. Commentary on the Quebec mosque attack on the LRB blog, February 8, 2017. Teaching Plato in Palestine reviewed in the Times Literary Supplement, January 25, 2017. Teaching Plato in Palestine reviewed in the Los Angeles Review of Books, January 21, 2017. Interview about Mit Platon in Palästina on Deutschlandfunk, "Essay und Diskurs" (German Radio), December 25, 2016. "Hierarchy and Inequality in Nietzsche and Falsafa" (with Mathias Risse). Podcast on microphilosophy, December 2, 2016. Teaching Plato in Palestine reviewed in Teaching Philosophy 39, December 2016. Teaching Plato in Palestine reviewed in Foro Interno: Anuario de Teoría Política 16, December 2016. 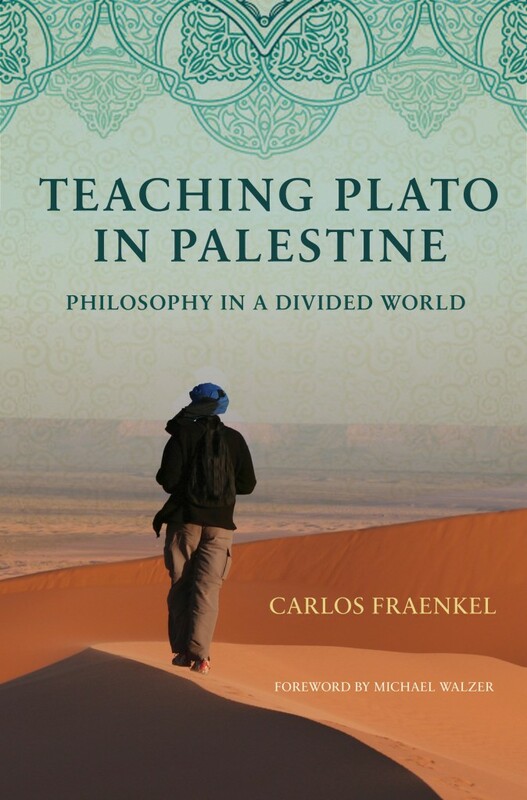 Teaching Plato in Palestine out in paperback with Princeton University Press, November 2016. Enseñar Platón en Palestina reviewed in Libris Liberi, November 18, 2016. "Keine Zeit zum Träumen - oder was nützt eigentlich die Philosophie?" Conversation with Carmen Gräf on rbb Kulturradio, October 13, 2016. Conversation about Mit Platon in Palästina with Johannes Kaup in the series "Im Zeit-Raum" on ORF 1 (Austrian Radi0), September 27, 2016. Presentation of Mit Platon in Palästina at the Vienna Humanities Festival, September 25, 2016. Enseñar Platón en Palestina reviewed in La Nueva España, September 22, 2016. Keynote Lecture at Philosophicum Lech 2016 in Lech am Arlberg, Austria, September 22, 2016. My zwei cents on the Rio Olympics--in Philosophie Magazin, August 2016.
Review of Mit Platon in Palästina in Die Presse, July 26, 2016. Contract with Korean publisher Chaek-Se-Sang for Korean translation of Teaching Plato in Palestine in 2017, July 21, 2016. Rerun of "Sternstunde Philosophie" interview on 3Sat (German TV), August 7, 2016.
Review of Enseñar Platón en Palestina in Letras Libres, July 2016. Interview about Mit Platon in Palästina on ARD-Alpha (German TV), June 24, 2016. Enseñar Platón en Palestina reviewed in El Imparcial, June 12, 2016. Enseñar Platón en Palestina reviewed in El Cultural, June 10, 2016. Mit Platon in Palästina reviewed in Belletristik-Couch.de, June 9, 2016. Interview about Mit Platon in Palästina on "Sternstunde Philosophie" (SRF 1, Swiss TV), June 5, 2016. Enseñar Platón en Palestina reviewed in Aceprensa, May 25, 2016. Discussion of Mit Platon in Palästina with Susan Neiman at the Einstein-Forum in Potsdam, May 24, 2016. Mit Platon in Palästina reviewed in Gutenbergs Welt on WDR 3 (German Radio), May 22, 2016. Teaching Plato in Palestine reviewed in Philosophers' Magazine, Spring 2016. Mit Platon in Palästina reviewed in Tagesanzeiger, May 14, 2016. Response to Danielle Allen in Boston Review forum on "What is Education For? ", May 9, 2016. Teaching Plato in Palestine longlisted for the Sheikh Zayed Book Award in Arabic Culture in Other Languages 2016, May 2016. Mit Platon in Palästina reviewed in Forschung & Lehre, May 2016. Enseñar Platón en Palestina featured on Artesfera (RNE, Spanish Radio), April 28, 2016. Mit Platon in Palästina reviewed in Kontext on SRF 2 Kultur (Swiss Radio), April 28, 2016. Enseñar Platón en Palestina--title story of ABC Cultural, April 16, 2016. Enseñar Platón en Palestina reviewed in ABC Cultural, April 16, 2016. Interview about Mit Platon in Palästina on WDR 5 (German Radio), April 15, 2016. Mit Platon in Palästina reviewed in Humanistischer Pressedienst, March 29, 2016. Enseñar Platón en Palestina reviewed in El Periódico de Aragón, March 29, 2016. Enseñar Platón en Palestina featured in El Epañol, March 20, 2016.
Review of Enseñar Platón en Palestina in Infolibre and Los Diablos Azules, March 18, 2016. Enseñar Platón en Palestina featured in "La Contra" of Spanish newspaper La Vanguardia, March 16, 2016. Great fun talking about philosophy to Carles Capdevila from Catalán newspaper Ara, March 14, 2016. Interview about Enseñar Platón en Palestina on "Viaje al centro de la noche," RTVE (Spanish radio), March 12, 2016. Mit Platon in Palästina reviewed in Religionsphilosophischer Salon, March 10, 2016. Mit Platon in Palästina reviewed in the Neue Zürcher Zeitung, March 8, 2016. Interview about Mit Platon in Palästina in "Sein und Streit" on Deutschlandradio Kultur, March 6, 2016. Mit Platon in Palästina recommended on Swiss TV in "Sternstunde Philosophie," March 6, 2016. Judit Carrera's op-ed piece in Ara on Enseñar Platón en Palestina and a culture of debate, March 4, 2016. Enseñar Platón en Palestina reviewed in Acento (Dominican Republic), March 3, 2016. Presentation of Mit Platon in Palästina at the Urania in Berlin, March 1, 2016. Catalán review of Enseñar Platón en Palestina in El Punt Avui, February 29, 2016. Mit Platon in Palästina ranked no. 2 of best German non-fiction books in March by Norddeutscher Rundfunk and Süddeutsche Zeitung, February 28, 2016. Enseñar Platón en Palestina featured in the Spanish edition of The Huffington Post, February 27, 2016. Enseñar Platón en Palestina featured in El Cultural, February 25, 2016. Mit Platon in Palästina reviewed in the Frankfurter Allgemeine Zeitung, February 24, 2016. Presentation of Enseñar Platón en Palestina at the Centre de Cultura Contemporània de Barcelona, February 24, 2016. Catalán review of Enseñar Platón en Palestina in Núvol--el digital de cultura, February 24, 2016. Interview about Enseñar Platón en Palestina with Spanish Radio eldiario.es, Carne Cruda (with Yanis Varoufakis as "warm up" act...), February 23, 2016. Interview about Enseñar Platón en Palestina with Spanish Radio 3, Coordenadas, February 23, 2016. Mit Platon in Palästina reviewed in Deutschlandradio Kultur, February 22, 2016. 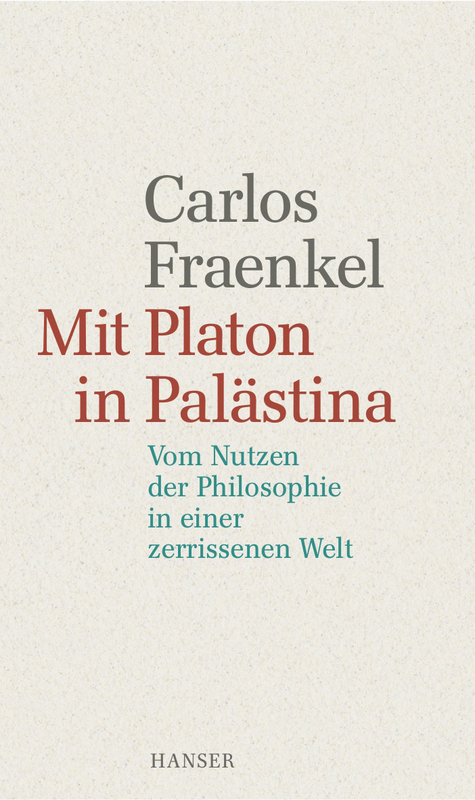 Mit Platon in Palästina is out with German publisher Carl Hanser. Enseñar Platón en Palestina is out with Spanish publisher Ariel. Interview about Teaching Plato in Palestine with Steve Paulson on "To the best of our knowledge," Wisconsin Public Radio, February 21, 2016.
Review of Salman Rushdie's Two Years Eight Months and Twenty-Eight Nights in the LRB 38, February 18, 2016. Teaching Plato in Palestine reviewed in the Journal for Contemporary Thought and the Islamicate World, January 14, 2016. Interview about Teaching Plato in Palestine with Robert Talisse for New Books in Philosophy, December 1, 2015. Teaching Plato in Palestine winner of the QWF Mavis Gallant Prize for Non-Fiction, November 18, 2015. Teaching Plato in Palestine reviewed in the Montreal Review of Books, November 18, 2015. Teaching Plato in Palestine reviewed in the Hedgehog Review, Fall 2015. Teaching Plato in Palestine reviewed in the Claremont Review of Books, Fall 2015. Teaching Plato in Palestine finalist for the Mavis Gallant Prize for Non-Fiction (Quebec Writers' Federation), October 15, 2015. Teaching Plato in Palestine reviewed in the Literary Review of Canada, October 2015. Podcast on Teaching Plato in Palestine on the Royal College of Psychiatrists website in the UK, October 13, 2015. Interview about Teaching Plato in Palestine with Joe Gelonesi on "The Philosopher's Zone" of ABC Radio National, Australia, October 4, 2015. Teaching Plato in Palestine reviewed in Legis (in Spanish), September 30, 2015. 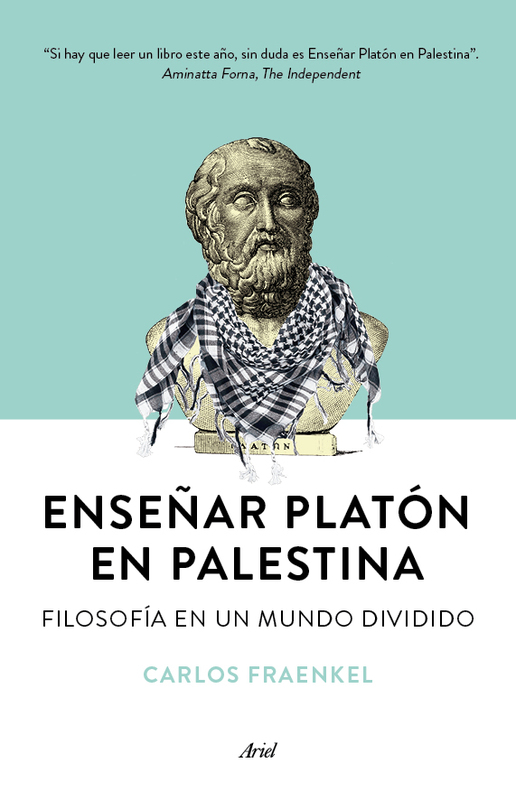 Teaching Plato in Palestine reviewed in El Medio (in Spanish), September 17, 2015. Teaching Plato in Palestine reviewed in Religion Dispatches, August 27, 2015. Teaching Plato in Palestine reviewed in The Key Reporter of the Phi Betta Kappa Society, August 10, 2015. Interview about Teaching Plato in Palestine with Stuart Campbell on Consider This, July 31, 2015. Interview about Teaching Plato in Palestine with Beatrice Wilford on Five Books, July 23, 2015. Teaching Plato in Palestine featured in The Conversation, July 14, 2015. Interview about Teaching Plato in Palestine with Alan Brill, July 13, 2015. Interview about Teaching Plato in Palestine on Voice of Israel, July 12, 2015. "Plato und die Hamas," feature of Teaching Plato in Palestine on NDR Radio (Germany), June 28, 2015. Teaching Plato in Palestine: Book discussion with Refqa Abu-Remaileh at the Academy of the Jewish Museum in Berlin on June 23, 2015. Short piece on a "culture of debate" in the Irish Times, June 17, 2015. "Themistius' Paraphrase of Metaphysics 12: Text, Ideas, Reception" (with Yoav Meyrav), presentation at Oxford University on June 17, 2015. Teaching Plato in Palestine: Chosen as one of the best summer reads by the Independent, June 12, 2015. Teaching Plato in Palestine reviewed in the Wall Street Journal, June 10, 2015. Philosophical Religions from Plato to Spinoza reviewed by Moshe Idel in Journal of Modern History 87, June 2015. Teaching Plato in Palestine reviewed in the Toronto Star, May 29, 2015.
Review of David Nirenberg's Anti-Judaism and Neighboring Faiths in LRB 37, May 21, 2015, 31-34. "Les musulmans dans les pas des chrétiens," French translation of my review of Nirenberg's Anti-Judaism and Neighboring Faiths in Books: le monde à la lumière des livres 69, October 2015. Teaching Plato in Palestine: Featured at PEN World Voices Festival in NYC in panel "Behind the Conflict Zone" on May 9, 2015. Watch the panel "Behind the Conflict Zone" on YouTube. Teaching Plato in Palestine: Reading at "A Literary Quest," PEN World Voices Festival in NYC on May 8, 2015. Teaching Plato in Palestine reviewed in Kirkus. Award: Humboldt fellowship for experienced researchers for summer 2015. Affiliation with the department of philosophy at Humboldt University in Berlin. "A Guerrillero-Gentleman: On Joaquim Câmara Ferreira," The Nation, January 20, 2014. Teaching Plato in Palestine featured on CBC Radio, December 27, 2013. 2013-14: Philosophy class for international MA program "Intellectual Encounters in the Medieval Islamicate World" based at the FU Berlin (in collaboration with universities in Israel and Palestine). Peter Gordon's review of Philosophical Religions from Plato to Spinoza in The New Republic, November 2013. "In Praise of the Clash of Cultures," in New York Times, The Stone, September 2, 2012. "Spinoza in Shtreimels: An Underground Seminar," in Jewish Review of Books, Fall 2012. "Divine Reasoning," Review of Jacob Howland, Plato and the Talmud, for Times Literary Supplement, November 4, 2011, 32. Award: Humboldt fellowship for experienced researchers for 2012-13. Affiliation with the department of philosophy at Humboldt University in Berlin to work on the project Teaching Plato in Palestine: Philosophy in a Divided World. Award: two-month visiting fellowship in 2013 at the Max-Planck Institut für Wissenschafts-geschichte in Berlin to work on the project Deus sive Natura: The Emergence of the Philosophical Concept of the Unity of Nature.